The new neighbourhood will be adjoined to Reserva del Higuerón Resort Sport Club and Nagomi Spa amenities, where a free lifetime family platinum membership is included with the purchase of your property at Higuerón West. 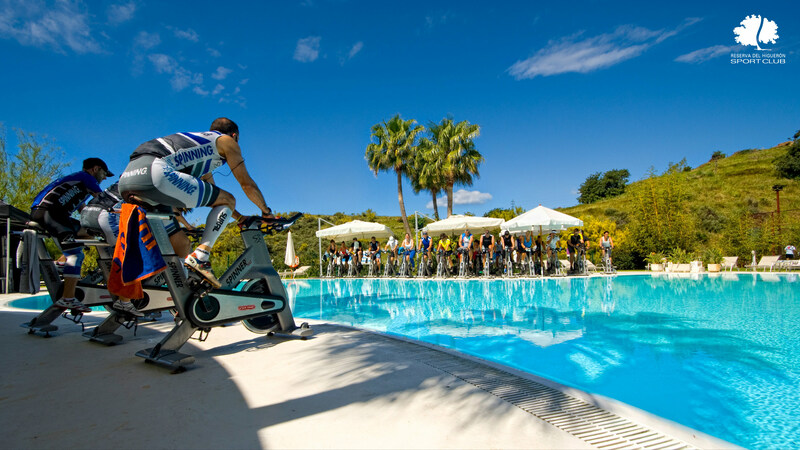 The Sport Club occupies a spacious 12.000 m2 and has a hightech gymnasium, plus indoor and outdoor swimming pools. Exercise classes and swimming lessons are available for both adults and children. There are also two tennis, volley and basketball courts, plus 12 paddle courts which host the most outstanding players in the Pro Tour Paddle Tournament yearly. The award winning Nagomi Spa is dedicated to beauty, wellbeing and relaxation. It has a 25 meter indoor pool, a hydro-massage circuit, sauna and Turkish bath. Additionally, there are a wide range of professional services available including naturopaths, physiotherapists, masseurs, hairdressers, beauty treatments, yoga, tai-chi etc. 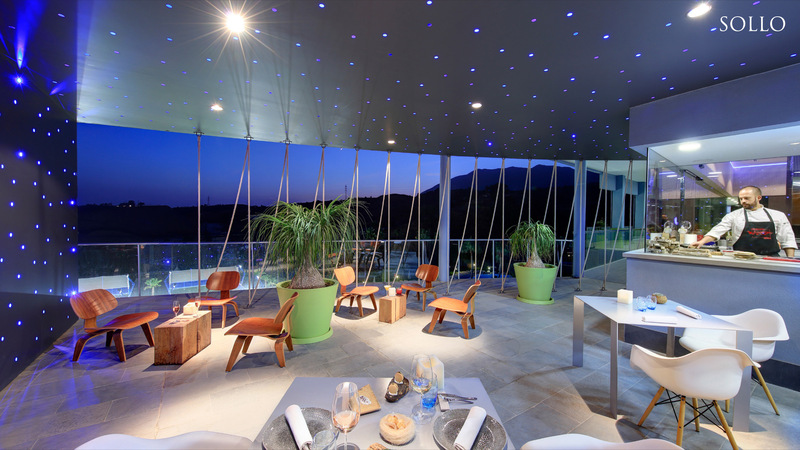 When you’re ready for a break, the Reserva del Higuerón Resort boasts a large variety of gastronomical choices including 2 poolside cafés, a coffee shop, a Japanese restaurant, a buffet, a pizzeria, an indian restaurant, a bistro bar and a Michelin starred restaurant. The adjoining DoubleTree by Hilton Resort & Spa Reserva del Higuerón is also part of the resort and offers the perfect hassle free solution for visitors. Not just a place to live…but a way of life! Residents at Higuerón West have full preferred access to the amenities available at the neighbouring Reserva del Higuerón Resort – putting shops, restaurants, sports facilities and a luxury spa at their fingertips. Having this stylish modern resort hotel with the Hilton seal of quality close by means residents of Higuerón West not only have its elegant amenities on their doorstep – including a panoramic rooftop pool and cocktail bar – but also a choice of elegant spots in which to meet up, socialise and relax. What’s more, the hotel provides excellent rates for your friends, family and business associates. 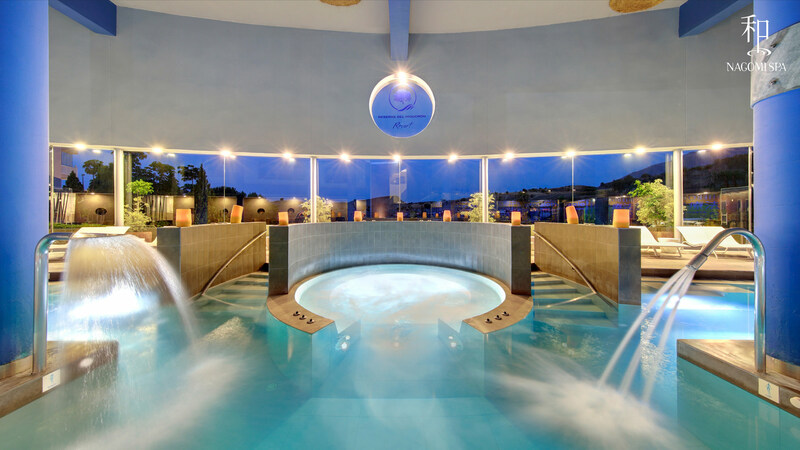 The Nagomi Spa at the Double Tree in Reserva del Higuerón is a fist class wellness centre whose facilities and range of professional treatments rank among the best on the Costa del Sol. Here body, mind and spirit are regenerated within a cosseting, relaxing setting that includes indoor pools with spa jets, hydro massage, jacuzzis, sauna and Turkish baths, as well as a choice of massages, health and beauty treatments. These include physiotherapy, aquatic circuits, Oriental and Ayurvedic treatment courses, yoga, tai-chi, Pilates and also personalised health shakes and detox diets designed just for you. The spa, which also features a beautician and hairdressing salon, is quite simply a delightful place to come and relax in as you float in the soothing water and take in the panoramic views across the Mediterranean coastline. 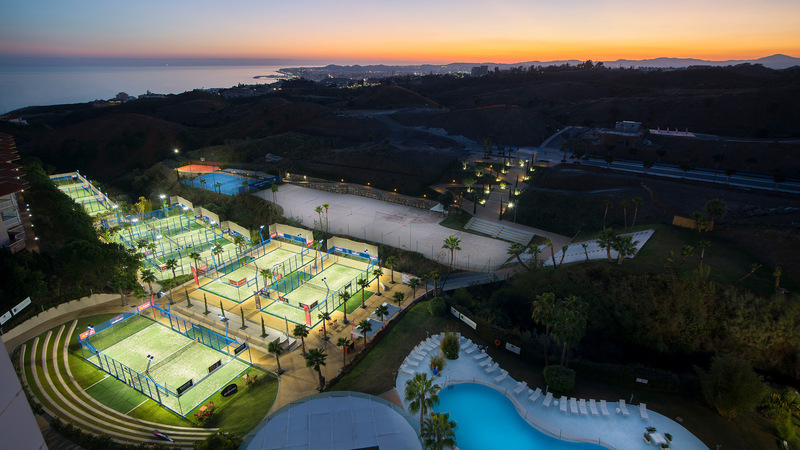 Bordering the hotel and spa is a state-of-the-art sport club that not only offers 12 of the best paddle tennis courts in this part of Spain, but also hosts leading national and international competitions and professional coaching. In addition to the top quality facilities for this sociable sport there are also two tennis courts under construction, as well as dressing rooms and a sports shop for all your needs. The sport club further features a professional gym with instructors for cardio, weight training, spinning and swimming in the 25-metre pool. Let the small ones have fun in the playground or head over to the beach sports centre with its beach volleyball, tennis and handball courts as well as a beach football pitch. You may also want to try out the swimming lake or enjoy an outdoor snack or light lunch at La Higuerita. At Higuerón West you don’t have to visit the town unless you want to. To add further to the convenience available to residents there is a small, charming shopping mall at the entrance to the gated community that includes a superb Carrefour supermarket, a pharmacy, newsagent and a variety of shops, cafés and additional restaurants. There is even a petrol station at the exit as you enter the road network that takes you quickly and efficiently to Fuengirola, Mijas, Marbella and Málaga – and a shuttle train that conveys residents to the beach. The surrounding area, from Fuengirola and Mijas to Marbella and Málaga, offers a world of culinary experiences to savour, but you needn’t leave the resort to enjoy great food and ambience. There are a total of nine establishments to choose from, including La Higuerita, which specialises in healthy meals, snacks and pastries, a coffee shop, an Italian, a Japanese and the following more specialised restaurants. Open from breakfast to dinner, Palmeral is a convenient, casual dining venue that offers great value and is particularly suited to families. The breakfast menu – complete with made-to-order omelettes and pancakes – is a particular favourite. 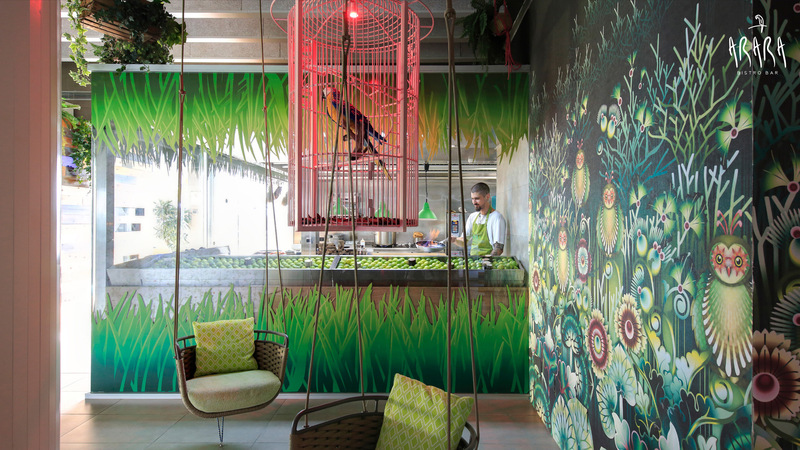 Arara is the most recent restaurant to open in La Reserva del Higuerón, and this trendy bistro bar produces a delightful blend of Peruvian, Brazilian, Asian and Andalusian dishes that are light, sociable and delicious – making this a perfect place to meet up and spend time with friends. The Michelin-star Sollo Restaurant draws on the inspiration of chef Diego Gallegos to offer sophisticated fine dining. The menu builds on fresh, organic ingredients to inspire, surprise and titillate the senses. It is one of the finest restaurants in the region, with a wine card to match. 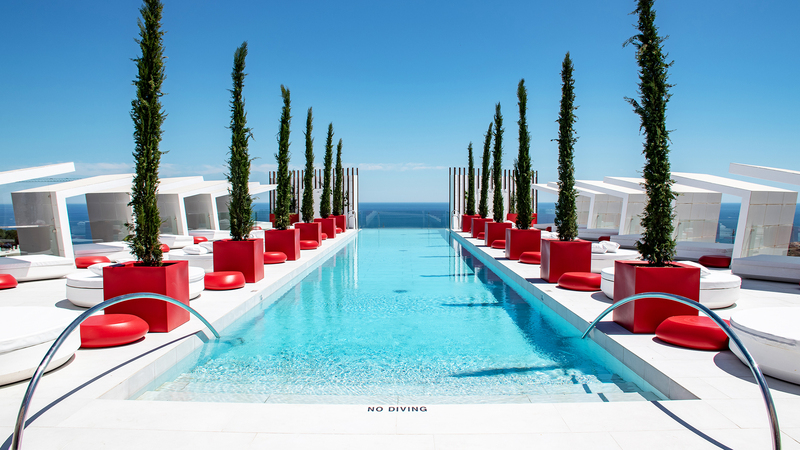 This panoramic poolside rooftop bar has a setting that is hard to beat anywhere along the Costa del Sol. The ambience is sleek and cool, the cocktail menu enticing and the views simply amazing. It’s just the place for sundowners and there’s also a refreshing light menu. A budget of €4 million, is being invested to create over 100.000m2 of sustainable landscaped gardens using native, low-water consumption plants whenever possible. 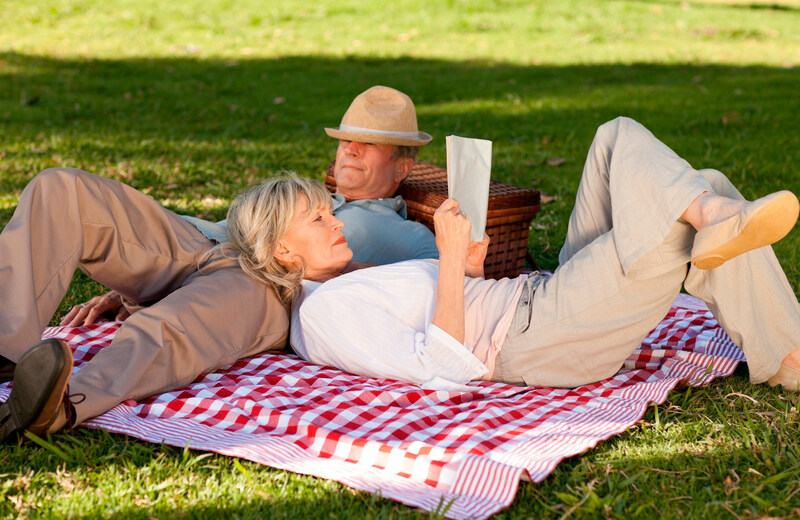 Our attention to detail is reflected in our commitment to our client’s lifestyles. With this in mind we are designing a green belt, an integrated series of parks which will connect directly to each apartment building. With over 100.000 m2 of space these areas are formed with health, leisure, family and sociability in mind. If your dog needs some off-leash exercise there is space for this too. 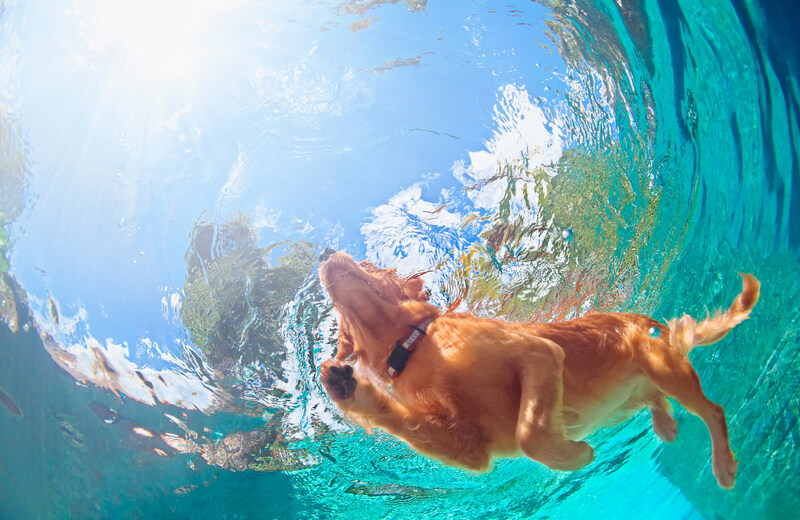 Join your neighbours for a morning dog walk and take advantage of the ‘pawesome’ park which includes a dedicated canine swimming pool and even a place to wash and groom your pet before returning home. Higuerón West is designed to stimulate social interaction; communal swimming pools, and playgrounds are always a good place to meet new friends. Jogging and walking trails meander along paths originally created by natural streams and rivers. We will also have spaces dedicated to exercise, pop-up saunas, jacuzzis, meditation and outdoor therapies. From the beginning you will see that Higuerón West is different. Our vision is to create a high quality, innovative and sustainable residential development where people live, work and play together with a sense of community. 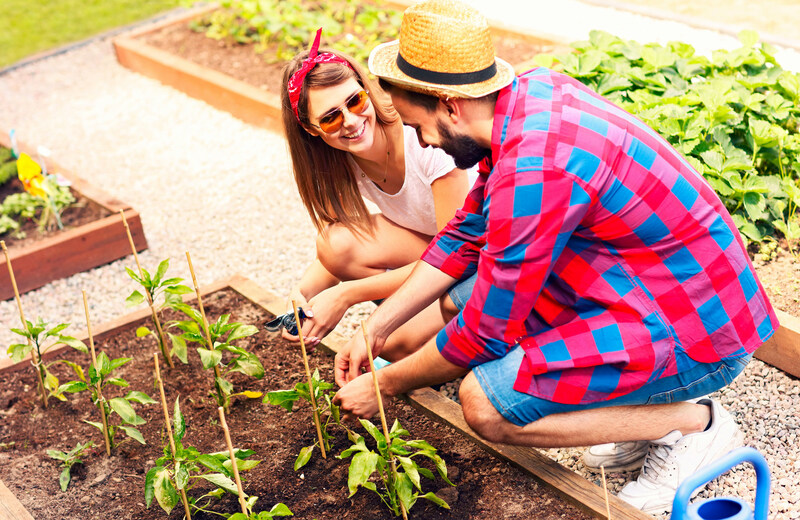 Included in our green belt are communal citrus orchards, and a garden where residents can grow and share vegetables, salads and herbs. The Higuerón West project is designed to create a new village living environment. Spanish and international residents, permanent and secondary home owners can live and work in harmony and enjoy all the advantages the Costa del Sol and its climate has to offer. 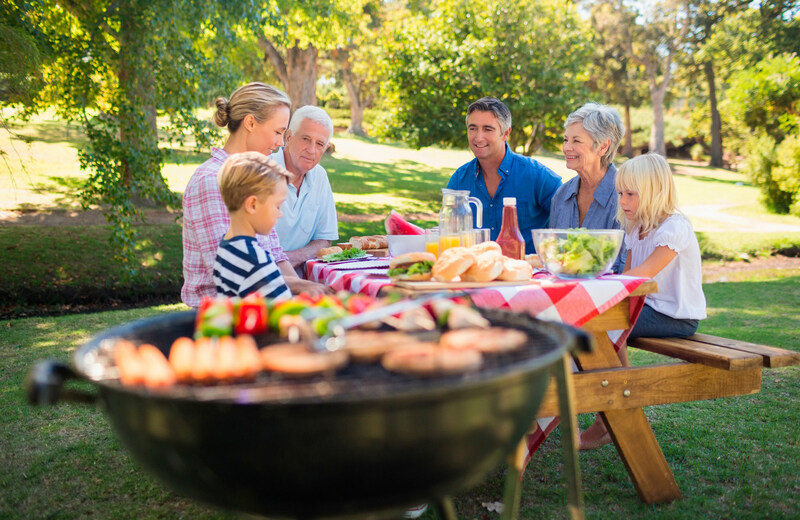 Amenities will include an array of large and small swimming pools, abundant green zones, leisure and outdoor kitchen and picnic areas with direct access from the apartments. 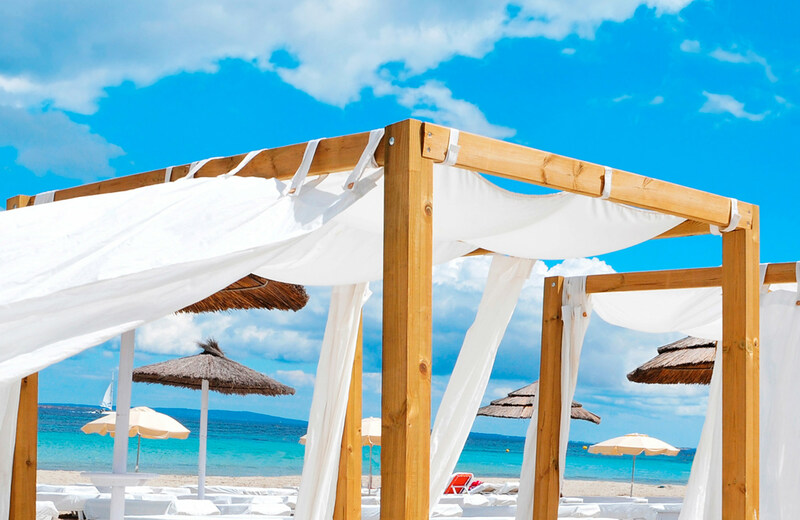 Owners will enjoy privileged access to the members only area in an exclusive beach club. A peaceful oasis, where you can soak up the sun on luxurious day beds by the pool, enjoy a healthy lunch or try some creative cocktails.